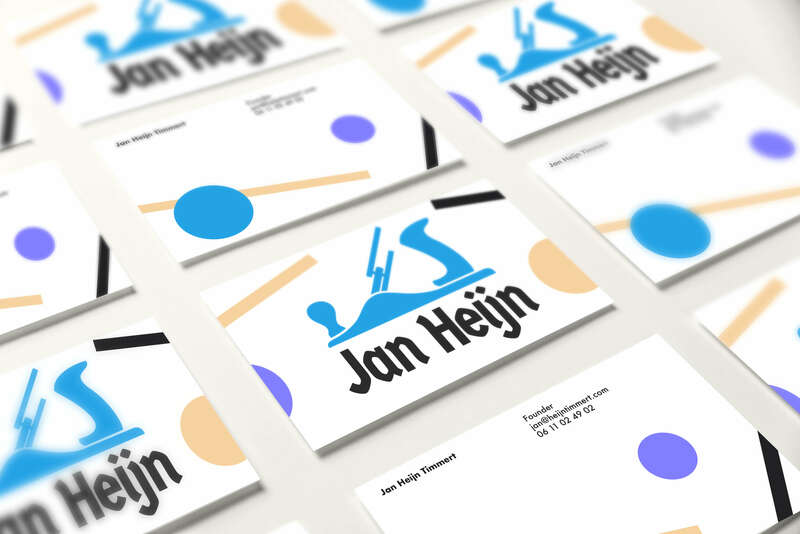 The corporate identity of the most famous carpenter in the Netherlands, Jan Heijn. I chose to make a striking style. The logo is a traditional carpenter’s tool, but just slightly distorted. This is to build a bridge between old techniques and new ways. The font has a German character. This is because the Germans are known for their ‘Gründlichkeit’ (thoroughness). This makes the whole look familiar and exudes quality. 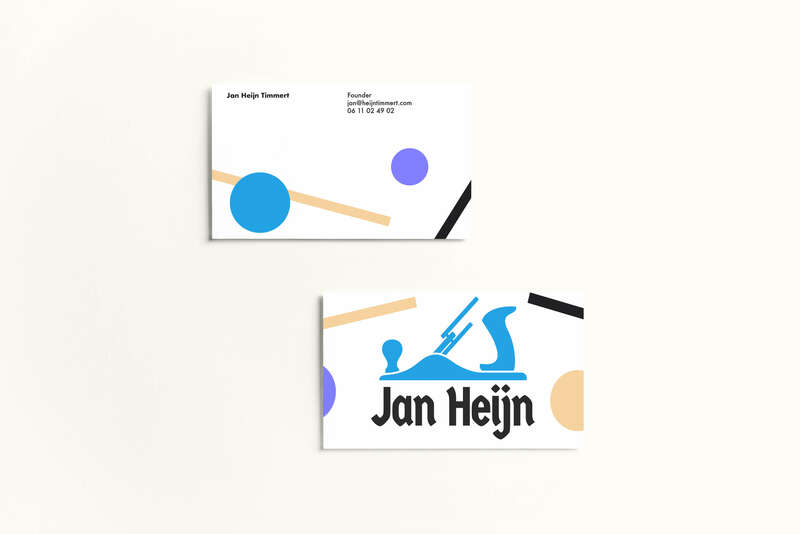 The abstract shapes in the background symbolize the military precision of Jan Heijn.